The Purple Scarf: Happening Weekend: Pillow Stories! It's been a long week for me, so I'm very happy that the weekend is here. I've been fighting a cold this whole week, which is why I haven't posted anything lately (so sorry). But now that I'm feeling better I have plenty of choices of some great things happening in Toronto this weekend. Need to get out some friendly aggression this weekend? 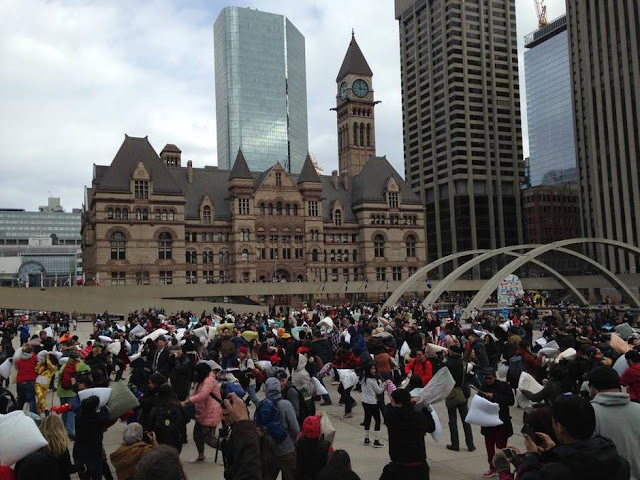 Then Pillow Fight Toronto 2016 was made for you! Head on down to Nathan Phillips Square this weekend and enjoy some pillow thrashing with over 2000 other people! Don't forget your pillow! The Toronto Storytelling Festival kicks off today and runs until April 10th. Events are happening within different venues with both national and international artists. The Canadian Film Festival began on Wednesday and ends Saturday night. Lots of homegrown talent will be showing their cinematic masterpieces. There are some great free exhibitions happening down at the waterfront. Check out the free film-based exhibitions at The Power Plant Gallery and Deliberately Ambiguous and The Harbourfront! Soundtrack of The City kicked of yesterday and runs until Sunday. Over 60 bands play in different venues along Queen Street West in this annual music festival. Shows are only $10 and wristband $15. The First Ladies Craft Beer Festival is happening tonight at Evergreen Brickworks. Bonfires and plenty of beer are on the docket. The Toronto Record Show takes place on Sunday in the east end. Any record enthusiast will be like a kid in a candy store and you can also get your own record collections appraised. Starting today and until Sunday you can find some great works from emerging artists at the P.O.P. Pop Up Shop. Paintings, bags, candles, soaps, and more will be for sale. P.s! : Looking to explore Toronto more? 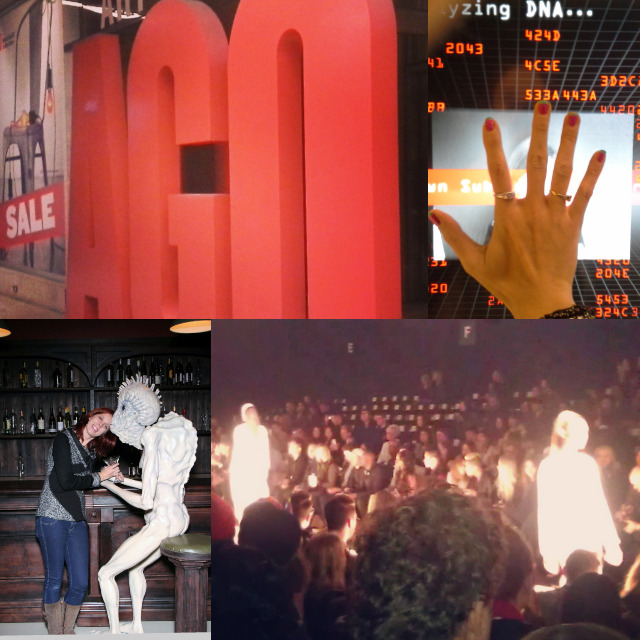 Check out my Explore Toronto link for ideas!